Scroll down to see the top not-for-profit colleges and universities in Maryland offering online degree programs. UMUC is the University of Maryland system's primary distance education provider. It boasts over 30 bachelor's degrees, 15 master's degrees (several with multiple specializations), and two doctoral degrees in management. Certificates are available to both graduates and undergrads. Military members and veterans can also enroll in one of the school's 10 associate degrees. Not every program at UMUC has to be fully online - students can choose a hybrid format that allows them to meet in-person for some classes during evenings or weekends. Classes convene at 20 locations throughout D.C., Maryland and Virginia, many of them military facilities. To serve military members elsewhere, UMUC has set up nearly 150 learning sites across the globe. Johns Hopkins University offers online degree programs through its School of Arts and Sciences, Carey Business School, School of Education, School of Engineering, School of Nursing and School of Public Health. The School of Arts and Sciences offers over 25 master's degrees in an online or hybrid format, including degrees in applied economics, bioinformatics, biotechnology, communication, energy policy and climate, government, museum studies, regulatory science, research administration and science writing. The Carey School of Business offers an online Bachelor of Business Administration, Master of Business Administration and online Master of Science degrees in six subjects, including marketing, finance and health care management. The School of Education offers online master's programs, doctoral programs and graduate certificates, including master's degrees in health professions, organizational leadership and technology for educators. The School of Engineering offers more than 140 online courses, as well as 14 master's programs that can be completed fully online. Fully online master's degrees are available in subjects such as systems engineering, technical management, bioinformatics and cybersecurity. The School of Nursing offers online master's programs in clinical nurse specialist studies and health systems management, as well as two online post-degree certificates. The Bloomberg School of Public Health offers seven online master's programs in subjects such as bioethics, health administration, health science and public health. Three online doctoral programs are available as well. Anne Arundel Community College offers more than a dozen associate degrees entirely online, with the majority of programs in business topics. There are also associate level transfer degrees designed for students who want to transfer to a four-year school to complete a bachelor's degree. The college offers nearly 20 online programs leading to certificates, and most of these are in the fields of business or computer information systems. While all the courses for these programs are offered online, students may be required to attend proctored exams or on-campus testing. In addition to completely online programs, students can take individual online courses for credit or take non-credit courses for job training or personal enrichment. The Community College of Baltimore is ramping up its online offerings, and by fall 2018, it will have 15 associate degrees and five certificates available online. The college also scores highly on flexibility by offering 14 start dates throughout the year for online courses and programs. Students can choose from five different course timeframes as well: five, seven-, 10-, 12-, and 15-week classes are available. The Associate of Arts in General Studies is CCB's offering for students who want to complete their first two years of college before transferring to a four-year school. Online students can complete the degree in 21 months, completing 21 classes by taking two classes in each seven-week term. The College of Southern Maryland has seven degrees students can earn through online classes. Three are transfer associate degrees, and students who complete these degrees can transfer to one of about 60 partner universities. Students can begin work towards a bachelor's degree in business administration or sport management at Southern Maryland. Students who want to gain immediate job skills can earn a career associate degree online, with options including computer information systems, information services technology, and web developer. Shorter versions of these career programs are available online as certificate programs, which require students to complete fewer classes. Prince George's Community College delivers more than 250 courses online using several formats. Most online classes follow the campus academic calendar and are asynchronous so students can access the content at any time. Some classes are completely online but offered in an accelerated format that is shorter than a semester. Other classes are hybrid, requiring at least one in-person meeting, and some are video enhanced. PGCC has four Associate in Applied Science degrees available online, two in business fields and two in criminal justice or legal studies. Students who want to transfer to a four-year school can earn a transfer degree in general studies with several possible majors. Business students can also earn a business transfer degree online. Stevenson University offers a wide range of adult degree-completion programs and master's degrees online. Applicants to the degree-completion programs must have at least two years of professional work experience and must have at least 15 credits they can transfer in. Applicants must have a GPA of 2.5 or better on previous college work. Programs are available for a bachelor's degree in business administration, business communication, business information systems, computer information systems, criminal justice, interdisciplinary studies, and legal studies. Stevenson also has online programs leading to a Bachelor of Science in Nursing and a Master of Science in Nursing designed for working nurses who have an associate degree or diploma in nursing. Stevenson's online bachelor's degrees were ranked in the Top 100 out of 300 surveyed schools in the 2016 U.S. News and World Report listing of Best Online Bachelor's Programs. Online master's programs include Master of Science in Nursing, Master of Science in Business and Technology, Master of Arts in Teaching (math and science content areas), and Master of Science in Health Care Management. There are six degree programs that are currently available online at Frostburg State University. The RN to BSN program can be completed 100 percent online and consists of a total of 32 hours of required and elective nursing coursework. Students must enroll in consecutive semesters, but can follow either a full-time (at least 12 credits per semester) or part-time (six credits per semester) plan of study. On the graduate level, the university offers three fully online programs: Master of Business Administration (MBA), Master of Science (MS) in Recreation and Parks Management, and MS in Nursing. There are two additional graduate-level degrees that have both online and on-campus components: Master of Applied Computer Science and Master of Education (M.Ed.). The MS in Recreation and Parks Management degree follows a cohort system of education and is comprised of 30 credits. If students enroll in two six-week courses every semester, they can earn the degree in two years. The M.Ed. program offers a concentration in special education. Qualified incoming freshmen can participate in the Summer Online Freshman Institute (SOFI) that allows them to enroll in introductory courses in the summer before their freshman year and get an early start on their degree. Towson gives undergraduates who wish to pursue a Bachelor of Science in Allied Health degree the opportunity to do so online. In addition, the university has the following online graduate programs: Applied Information Technology (M.S. ), Integrated Homeland Security Management (M.S. ), Human Resource Development (M.S.) - Educational Leadership Track, Master of Business Administration (MBA), Security Assessment Management Certificate, and Interactive Media Design Post-Baccalaureate Certificate. Towson Online also offers a number of credit and non-credit courses throughout the year, as well as professional and administrator certification courses. It uses Blackboard as its learning management system. The College of Information Studies, the University of Maryland's iSchool, offers three master's programs (Master of Human-Computer Interaction, Master of Information Management and Master of Library Science) as well as a PhD program online. A certificate in CMDA (Curation and Management of Digital Assets), which is a post-master's program, can also be pursued online from iSchool. The university uses Canvas as its Enterprise Learning Management System (ELMS). Online courses, as well as communication, classroom support and any changes are all hosted through ELMS. The online Master of Science (MS) in Health Science degree at the University of Maryland Baltimore is a dual-enrollment program offered in partnership with the Anne Arundel Community College (AACC) Physician Assistant Program. Students who complete the 25-credit program receive the PA credential from AACC and the MS degree from the University of Maryland. They are also eligible to take the national certification exam for physician assistants. The university's Center for Translational Medicine offers a fully online MS in Pharmacometrics program designed for professionals with experience in medical product development. Students accepted to the program are required to choose either a five-semester or eight-semester course schedule and must complete the program within five years. The MS in Regulatory Science degree offered through the School of Pharmacy is available exclusively online. The program consists of 30 graduate credits and can be completed in two years. Beginning in fall of 2016, students entering the program are eligible to apply for the Ellen H. Yankellow Scholarship, which awards $11,000 towards tuition. At the current time, there are two online certificate programs available - research ethics and in aging and applied thanatology. Each certificate consists of 12 credits and can be completed in one year. McDaniel College does not currently offer any degree programs that can be completed entirely online. It does, however, offer online courses in a variety of disciplines. Many of its graduate programs, for example, can be completed through a combination of evening, weekend and online classes, with online courses offered in fields like counseling, education, education leadership, physical education, psychology, library science and writing. An online graduate certificate in writing for children and young adults is also available. Many of the graduate programs offered through Goucher College follow a low-residency model. For most of these programs, students are required to attend intense, on-campus residencies twice a year during the program. Other that than, coursework is delivered online, with some classes delivered asynchronously and others requiring students to take part in real-time sessions. The amount of real-time sessions may vary by program. Goucher does not offer any online programs that do not require a residency. The most common format the programs follow includes a 10-day residency each spring and fall, with students completing the program in about two years. This format is used for the Master of Arts in Environmental Studies, M.A. in Management, M.A. and M.F.A. in Digital Arts, and M.A. in Cultural Sustainability. The Master of Arts in Arts Administration requires all students to attend an on-campus intensive once a year. The arts administration residencies are held in the summer and last for two weeks. Goucher's M.F.A. in Creative Writing also requires residencies, which are usually scheduled each semester. The creative writing program also allows students to take part in an internship with a literary journal, magazine, newspaper or publisher. Salisbury University offers an online Master of Social Work (MSW) degree that is accredited by the CSWE (Council on Social Work Education). The program follows a cohort model of education and no more than 20 students are admitted to each cohort. Courses are available in seven week blocks throughout the year. Students accepted to the regular program can expect to complete the 62 credits required for the MSW degree in three years. Students with Advanced Standing need only 32 credits to earn the degree and can expect to graduate from the program in two years. The Department of Geography and Geosciences at Salisbury University offers a Master of Science in Geographic Information Systems Management (MS-GISM) degree that can be completed entirely online. This is the only fully online MS-GISM program in the country that has a distinct focus on public GIS administration. Students enroll in classes offered by the department, as well as in courses from the Graduate School of Management and Technology at the University of Maryland University College. Students who graduate from the program meet the academic requirements for certification as a Geographic Information Systems Professional (GISP). The MS-GISM program can typically be completed within one year. Trying to earn an accredited Maryland degree without breaking the bank? 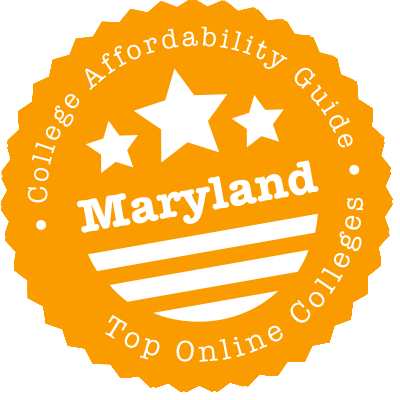 Check out our short guide to choosing an online program in Maryland! Here you’ll find links to online degree catalogs (e.g. MOL), details about discount tuition opportunities (e.g. ACM-EC), and background on U.S. News & World Report rankings for online graduate programs. We also take a closer look at some great—and affordable—Maryland schools and give you the rundown on regional accreditation. MarylandOnline (MOL) is a consortium of Maryland community colleges and universities that offer online programs. Membership in MOL is open to all Maryland higher education institutions (public and private) that are regionally accredited. Although the list of participating institutions includes a number of sturdy schools, it doesn’t feature big names like Johns Hopkins. You can use MOL’s Resources section to search for online courses, degrees, or subjects offered by participating institutions. This website also has a list of continuing education opportunities. A regionally accredited member of the University of Maryland System, UM University College (UMUC) is designed to serve adults and non-traditional students. It has developed 90+ degrees, specializations, and certificates in online, hybrid, and on-campus formats. Military & veterans are particularly welcome to apply. In-state tuition rates are particularly reasonable, and reduced tuition is available for federal government employees and military servicemembers & their families. UMUC accepts transfer credits from approved community colleges & four-year universities, and credits for work and military experience. It also offers 100+ scholarships, including a Completion Scholarship for eligible Maryland community college graduates. A heap of southern schools, including a few in Maryland, are also part of the Southern Regional Education Board (SREB) Electronic Campus. You can use SREB’s handy online program & course catalog to search for online programs, blended programs, or even degree completer programs designed for adult learners. Programs that are marked “E” are offered at the Electronic Rate, which means the in-state and out-of-state tuition rates are the same. Participating Maryland institutions in this catalog include the Anne Arundel Community College, Capital Technology University, Goucher College, the University of Baltimore, the University of Maryland-Baltimore, the University of Maryland-Baltimore County, and the University of Maryland-University College. Thinking about earning an out-of-state online degree? If you’re lucky, you may only have to pay in-state tuition rates. SREB’s Academic Common Market-Electronic Campus (ACM-EC) was created to help students who are having trouble finding certain degrees in their home state (e.g. Doctor of Nursing Practice). The ACM-EC list allows you to search for discounted online programs available to students living in one of the 15 participating SREB/ACM states. It’s important that know that approved ACM-EC programs must be in a participating state. What’s more, you won’t be eligible for in-state tuition rates if a public college or university in Maryland already offers a degree program in your chosen field of study. To get started, you will need to meet admissions requirements of the college or university that offers the ACM-EC program and be certified as a resident of Maryland by an ACM coordinator. Visit the ACM-EC website for instructions. For Best Online Graduate Computer IT Programs, Johns Hopkins University is often in the Top 5 and University of Maryland-Baltimore County (UMBC) in the Top 25. For Best Online Graduate Engineering Programs, Johns Hopkins is usually in the Top 20 and University of Maryland-College Park (UMCP) in the Top 35. As a public university, UMBC also appears in our list of Affordable Online Schools (see its profile below). This makes it a particularly attractive choice for working IT professionals. The following schools made it onto both our “Most Affordable” and “Top Online” lists. That means they met some pretty tough criteria for quality, flexibility, price, and use of financial aid money. (You’ll see a CAG Score next to their profiles in our ranking.) Trying to decide between two? You can also use College Scorecard to compare financial & student statistics (e.g. graduation rates). Online @ FSU is your first port of call. Here you’ll find details on FSU’s online degree programs & courses, including a rundown on FSU’s Summer Online Freshman Initiative (SOFI). SOFI allows incoming freshmen to take introductory courses in the summer before they start their bachelor’s degree. The rundown on tuition & fees can be found in FSU’s Admissions section. Maryland residents pay less than out-of-state students, even in online programs. Interested in subject strengths? Think business. FSU often ranks in the Top 70 of U.S. News & World Report rankings for Best Online Graduate Business Programs (Excluding MBA) and near the Top 100 for Best Online MBA Programs. That’s not bad for a small state university! McDaniel’s Online Graduate Programs are offered in a variety of disciplines. A list of tuition & fees can be found on the university’s website. McDaniel charges no additional fees to out-of-state online learners, and there are limited refunds if you choose to withdraw within the first six weeks. Graduate students can transfer up to six credits from another graduate program. TU’s online offerings are grouped under Off-Campus & Online Undergraduate Programs and Off-Campus & Online Graduate Programs. TU is not authorized to offer online courses/programs in Puerto Rico and Wisconsin, but residents of these states may enroll if they are living in Maryland or enrolled in a face-to-face TU course. When it comes to tuition & fees, out-of-state students pay substantially more than Maryland residents. UMBC Online has links to individual online graduate & certificate programs, but it’s the Office of Student Business Services that lists up-to-date tuition rates and the Office of the Financial Aid & Scholarships that has info on financial aid options for graduates. The Veterans Services Office can assist with GI Bill benefits, VA benefits, and Maryland benefits. If you’re not ready (or can’t afford) a master’s degree, you may also want to take a look at the non-credit, skills-focused programs at UMBC Training Centers. These programs include technical training courses, professional certifications, IT certificates, and a whole lot more. A number of classes are offered online. As we mentioned, UMBC does very well in U.S. News & World Report rankings for Best Online Graduate Computer IT Programs. Schools that offer online programs should be fully accredited by an organization recognized by the U.S. Department of Education. Avoid any university that makes vague claims about international accreditation! Although national accreditation applies to for-profit distance learning institutions, regional accreditation is the gold standard for non-profit institutions (public or private). It’s also important if you’re thinking about transferring credits. The Middle States Commission on Higher Education (MSCHE) is the regional accrediting body for higher education institutions in the middle states (e.g. Maryland, Washington D.C., New York, etc.). You can use the Institution Directory to find accredited community colleges and universities in Maryland. It’s easy to sort your choices by a variety of classifications (e.g. Carnegie research activity, public vs. private, etc.). MSCHE’s webpage on Non-Compliance Public Disclosure Statements reports when a school has recently been placed on warning, probation, or “show cause” status by MSCHE. MSCHE also announces when it’s decided to withdraw a school’s accreditation. Thinking about schools outside of the Old Line? The Council for Higher Education Accreditation (CHEA) Database lists regional and national accreditations for colleges & universities across the country. There aren’t many diploma mills in Maryland, but we discuss a few schools with quality concerns below. CBCS is a Bible school that holds no national or regional accreditations. It does not appear in the CHEA Database or College Scorecard. According its website, it is accredited by the Accrediting Commission International, but this accrediting body is not recognized by the U.S. Department of Education. FSU is regionally accredited. However, it was placed on warning by the MSCHE in June 2016 because insufficient evidence was available for review with regard to institutional assessment and general education. FSU remains accredited while it acts to address MSCHE concerns. On the other hand, College Scorecard reports that FSU has sturdy student & financial statistics. University of Phoenix is a for-profit university based in Arizona. The CHEA Database notes that it is regionally accredited by the Higher Learning Commission (HLC). However, College Scorecard reports that the Columbia campus has a low graduation rate and lower than average number of students paying down their debt within three years. In addition, the university has been hit with a number of lawsuits over the years. Middle States Commission on Higher Education (MSCHE): Use MSCHE’s Institution Directory and the search function to find regionally accredited schools in Maryland. Articulation System for Maryland Colleges and Universities (ARTSYS): Use this online tool to find ways to transfer credits from Maryland community colleges to the University of Maryland System and other participating institutions. The website includes recommended transfer programs, transcript evaluations, and a guide to course equivalencies. Maryland Distance Learning Association (MDLA): MDLA is an association of distance learning professionals who support the use of distance/online education in Maryland and throughout the region. It provides professional development, networking, and collaborative opportunities for educators in K-12, higher education, and business settings. University of Maryland University College (UMUC): UMUC is a regionally accredited member of the UM System that’s especially designed to serve adults and non-traditional students. It offers 90+ online, hybrid, and on-campus degree & certificate programs. MarylandOnline (MOL) Resources Section: Search for online courses, degrees, or subjects offered by MOL institutions. Southern Regional Education Board (SREB) Electronic Campus: Search for online degree programs or courses being offered by participating institutions throughout SREB southern states. This website also has answers to FAQs, info about transferring credits, a section on financial aid, and a list of out-state online programs that qualify for in-state tuition benefits.